Lesson 1: SolidWorks Basics and the User InterfaceWhat is the SolidWorks Software? 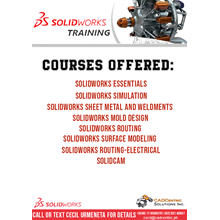 You've successfully shared Solidworks Training. An error occurred while sharing Solidworks Training. Please try again.